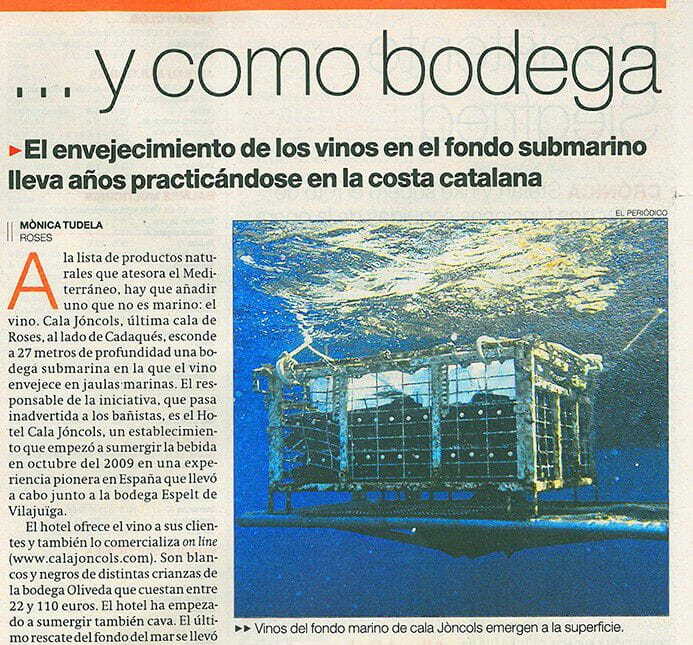 “… I com a celler” […and as a wine cellar] is the title of the article about Hotel Cala Jóncols published this March in the newspaper El Periódico. The writer of the piece, Mònica Tudela, emphasises the establishment’s tireless commitment to offering its guests unique and innovative products. She goes on to highlight the hotel’s excellent location in the last cove along the Roses coast, at the heart of the Cap de Creus National Park.